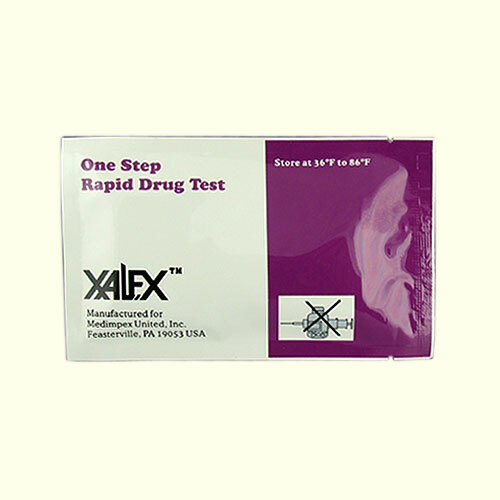 The single panel home drug test is for the individual that wants to test their toxin level in the privacy of their own home. Our single panel kits are available for marijuana, cocaine or met amphetamine. It will test at the same levels as an actual laboratory urine drug test. The Home Drug Test kits are 98% accurate for testing your system for toxins only, not for testing detoxifying products by itself. Wait 5 minutes before reading the results. Observe the two color lines: the control line in the "C" region of the test area, and the test line in the "T" region of the test area. Positive: The control line is the only line that appears.